Wow. I love this quote. I feel like it's just for me! Thanks, Paloma! Sometimes I feel that way too, diva. It's funny how certain quotes seem to speak directly to you depending on the what you are experiencing at the moment. I'm glad you liked it! 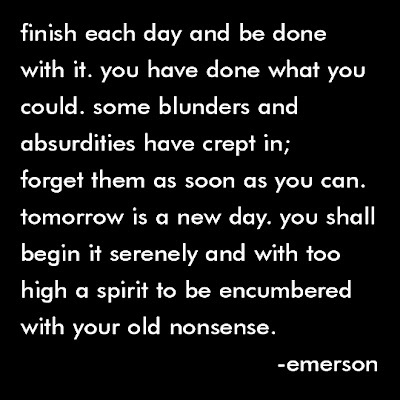 I love this quote and I'm so happy it was by Emerson (amazing). What a great thing to read at the end of my uber stressful day. Thanks and inspired. This is a GREAT quote. The timing of me reading this is PERFECT! You know I have to share with my readers! :) Thanks, Paloma!